Directions: In a large sauce pot, sauté onion, ginger, & carrots in sesame seed oil on low heat until tender, about 5 minutes. Then add chicken broth, 1 c. water, and soy sauce, and bring to a rolling boil. While soup is coming to a boil, add corn starch to a small, glass (or other heat-proof) custard dish & stir in 1 Tbsp. cold water to make smooth paste, i.e., a slurry. Then slowly incorporate the slurry into the broth, stirring continually until it's dissolved & the soup has become relatively clear. Reduce heat to low & simmer. While soup is simmering, stir in the dried mushrooms & reconstituted seaweed, & season with white pepper. Place miso paste into the same small custard dish you used to make the corn starch & water slurry. Remove about 1-2 Tbsp. of the soup from its pot, wait for it to cool for at least 10 minutes (or else the heat will denature its nutrients), and then pour over the miso paste, stirring until completely dissolved. Set aside. Beat the eggs together in a separate, medium-sized bowl, using a fork. Gradually add eggs, drizzling a little bit of egg at a time from the fork into the broth while simultaneously & very gently stirring once or twice in the same direction until eggs separate into ribbon-like strips. (Do not overstir or these ribbons will shred into tiny bits.) Remove soup from heat & allow to cool for 5-10 minutes. Then stir in miso mixture, and add tofu & scallions. Serve immediately. Chef's Notes: If you can't find miso pasto with dashi and without MSG , just combine the no-MSG miso paste with dashi (bonito) soup stock. :) If you use dashi is in its powdered form (i.e., hon-dashi), be sure to boil it together with water first to make an actual liquid soup stock before adding it to the miso paste. :) You'll only need to make a small amount of dashi (i.e., just a few tablespoons), so follow package instructions to ascertain the proper ratio of hon-dashi to water. Use the same method as described above to melt the miso; wait several minutes before pouring dashi over miso. There are three main kinds of soybean based miso paste -- red (akamiso), white (shiromiso), or mixed (awase) -- but it doesn't really matter which type you use, just as long as it has dashi in it (or added to it). Dashi adds a unique flavor to the soup, but if you can only find miso paste without dashi, that will have to do. Important note for vegetarians: Vegetarians, please note that, despite any online articles that you may've read to the contrary, seaweed & dashi actually aren't vegetarian foods. Both contain bits of fish in them. Yep, there's a reason they both have that slight fishy, umami flavor. ;) So, if you didn't realize that before, now you know. As far as seaweed is concerned, it might appear at first to be a vegetarian product, as it's green & is classified as marine algae. However, it often contains small fish or other sea life that definitely aren't plant-based life forms. And no, sea cucumbers don't count as vegetables either. LOL. The dashi soup stock found in some miso paste varieties also contains lots of fish-y stuff: kombu (dried kelp), wakame seaweed, niboshi (dried baby sardines), & dried, smoked bonito (skipjack tuna). So unless you're a pescetarian (a fish-eating vegetarian), you'll probably want to avoid eating dashi as well. You are a genius. Two of my favorite soups combined in a fusion of soupalicious goodness. Oh how delightfully delish! Aw, thanks! You are too kind. 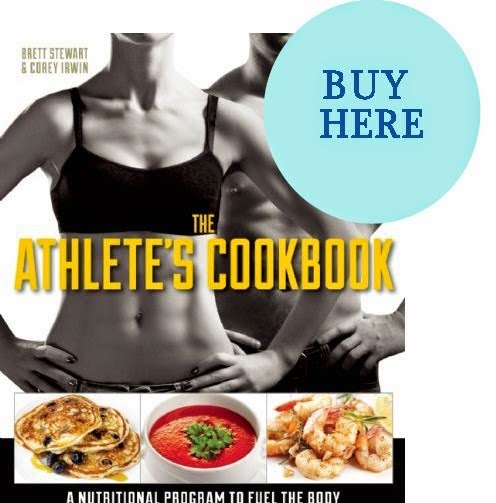 Hope you enjoy the recipe! but you said you made it because you didn't have stock... is it still good without stock? 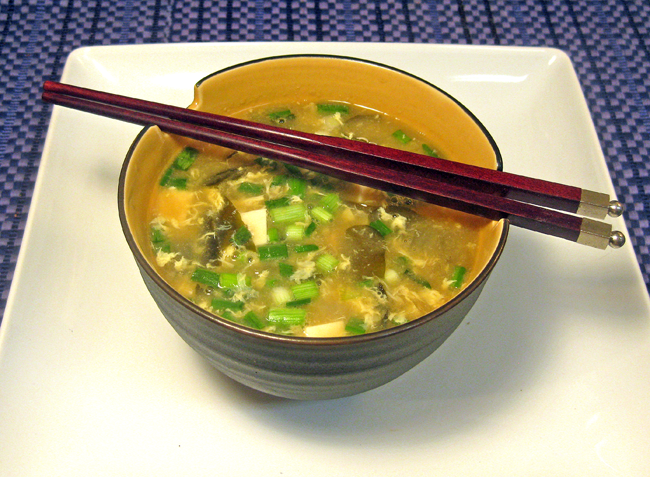 Yes, it's still good without the chicken stock, and here's why: I didn't have chicken stock to make traditional egg drop soup, so this is why I created a new soup, miso-egg drop soup. 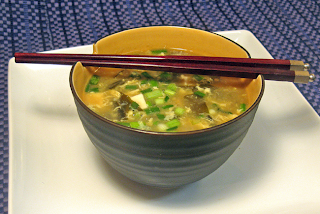 The miso serves as the base for the stock, instead of the chicken stock.